Successfully Added V-Box Android TV Box - 4Kx2K Resolution, Wi-Fi, Quad Core CPU, 1GB RAM + 8GB ROM, DLNA/Miracast/Airplay Support, KODI 16.0 to your Shopping Cart. Take your TV set into the 21st century with the V-Box Android TV Box, sporting 4Kx2K resolution, Wi-Fi support, Play Store access, DLNA, Miracast and Airplay sharing and more. Get access to loads of content and watch it in 4Kx2K quality with the V-Box Android TV Box. Hook it up to your TV in minutes and enjoy a massive home entertainment upgrade, making your TV instantly smart. 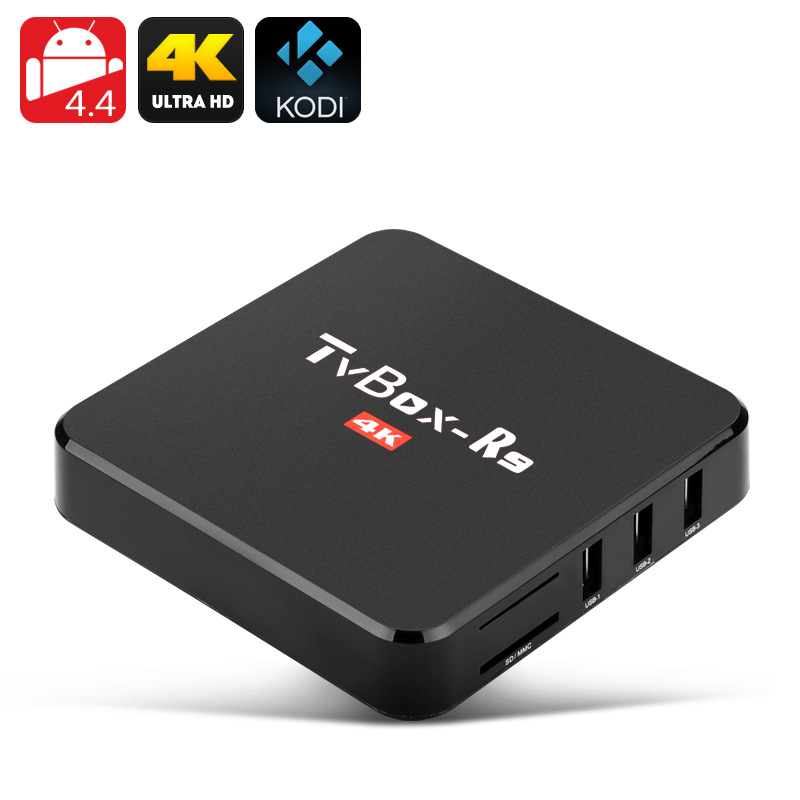 The quad core TV box runs on Android and you will have a clear and friendly interface for better navigation and access to the Play Store for more cool apps, games and tools. With Wi-Fi support, you can now use your big screen TV to browse the web and the support of up to 64GB of external storage gives you plenty of freedom for downloads. The TV box’s Rockchip 3229 Quad-Core CPU takes care of fast speeds and smooth operation — no glitches or lagging. With DLNA, Miracast and Airplay support, you also get lots of sharing options for your content. The 4K TV box comes with KODI 16.0 pre-installed, solving your search for content problem once and for all. Roam around Kodi repositories for great free content and watch it worry-free with your smart TV box. The V-Box Android TV Box comes with a 12 months warranty, brought to you by the leader in electronic devices as well as wholesale Android TV boxes..